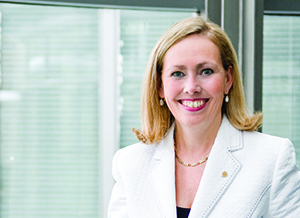 Ottawa, November 13, 2015 – Co-operatives and Mutuals Canada (CMC) congratulates Monique F. Leroux on her election as President of the International Co-operative Alliance (ICA). Ms. Leroux was nominated by CMC and her candidacy received the support of our members. “The entire Canadian delegation joins me in congratulating Monique Leroux on her election. There was a great field of candidates for the ICA presidency and she should be very pleased with her victory” stated CMC President Jack Wilkinson upon hearing the results. “Canada has a long tradition of co-operative values and is a big supporter of the ICA. With Monique Leroux at the helm we have confidence that the ambitious goals of the Blueprint for a Co-operative Decade will be accomplished” concluded Mr. Wilkinson.